Caldeco Air Conditioning & Heating recommends regular air duct cleaning to prolong the life of your system and improve the quality of your indoor air. Over time, particles and debris can accumulate throughout your air ducts forcing you and your family or colleagues to breathe lower quality air. That’s why we offer comprehensive air duct cleaning services to keep your ducts clean and your air fresh. By professionally cleaning all of the air ducts throughout your AC system, we can help you remove dust, dander, dirt, mold, mildew, pollen, allergens and pollutants from your indoor air. Don’t suffer from the side effects of bad air. Simply schedule a duct cleaning service with the expert technicians at Caldeco Air Conditioning & Heating. We’ll expertly clean your ducts of allergens and other contaminants and can even provide duct sealing services to help prevent future build-ups. And, if your system is in need of new ducts, we can provide installation services at your home or commercial space. Caldeco Air Conditioning & Heating has served Tampa area residents and business owners for nearly 30 years. Our AC repair, maintenance and duct cleaning company is dedicated to excellence in workmanship and superior customer service on every service call. We offer prompt, friendly and reliable service, as well as offer a range of specials and discounts throughout the year to help our customers save money on their AC system and repair costs. 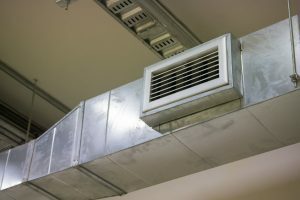 If you own a home or business in Tampa, Clearwater, Wesley Chapel, Westchase, Temple Terrace or the surrounding cities, are concerned about the quality of your indoor air or simply haven’t had your ducts cleaned in recent years, reach out to the experts at Caldeco Air Conditioning & Heating. We are proud to offer superior duct cleaning, AC repair, maintenance, and so much more, so contact us today!